The 2017 Honda Odyssey is so much more than a family vehicle. This minivan is versatile enough to bring your friends, including adults, wherever you want or move furniture or large artwork, encouraging your shopping habit. You can even use it to take your camping gear to a campsite or bring your bike on an adventure. No matter how you plan to use the Odyssey, it is filled with features and incredibly safe, and it provides sleekness and style you don’t typically expect from a minivan. The only way for you to experience the new features of the 2017 Honda Odyssey is to come in and get behind the wheel. Contact us today to schedule a test drive! The Odyssey defies expectations of what a minivan should look like, giving you a rear roofline spoiler and an aerodynamic profile. Next time your hands are full, you will appreciate the power tailgate on the higher trims of the 2017 Honda Odyssey, which opens automatically. The Smart Entry System is on all but the base LX trim and adds convenience, eliminating the need to get your keys out of your pocket to open the doors. Heated side mirrors are also on nearly every single model, reducing the fog or snow on your mirrors and helping you see obstacles around you. The available Honda VAC is one of the many features that set the 2017 Odyssey apart from the competition. This built-in vacuum cleaner makes it easy to clean up spills or messes on the go, as you always have a vacuum with you. In addition to being incredibly comfortable, the Honda Odyssey is versatile. The second row has a multifunction center seat that lets you pull a lever to move it forward to give you some extra space, and you can slide the outboard second-row seats out 1.5 inches. The third row’s Magic Seat completes this versatile interior, letting you fold it down in a single motion. For those who run the carpool, the Odyssey has 38.4 cubic feet behind the third row of seats, 93.1 cubes behind the second row, and 148.5 behind the first. When you have the seats in place, you will be able to fit as many as five child car seats, including three in the second row and two in the third row. You will also notice small smart touches throughout the cabin, including the Odyssey’s center console, which can fit four beverage holders and even has a flip-up ring for holding garbage bags. Every 2017 Honda Odyssey runs on a 3.5-liter V6 engine that gives you access to 248 horsepower and a torque of 250 pound-feet. This engine works with a 6-speed automatic transmission and gets very good fuel economy for a minivan. Expect 19 mpg* in the city, 27 mpg* on the highway, and 22 mpg* combined. Driving the minivan lets you experience its control and poise without much roughness, thanks to the isolated sub-frames that are well tuned. The Odyssey’s steering system has a variable power rack-and-pinion setup, something that provides a natural weight with just enough feedback. Drivers looking for a true family vehicle will love the 2017 Honda Odyssey. From its extensive safety features to its advanced technology, this van is a great choice for many. 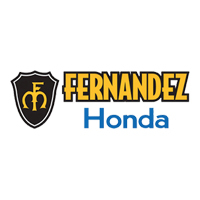 If you’re looking to view a wide selection of different models, visit Fernandez Honda in San Antonio, Texas. Our expert staff will show you around the different models and answer any of your questions. We also are proud to offer in-house financing as well as certified mechanics here at the dealership to help improve your experience.